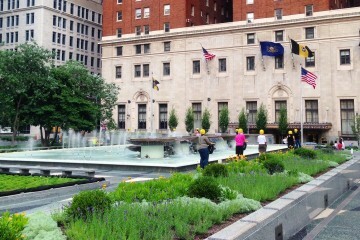 Janna is happily rediscovering Pittsburgh after spending nearly a decade living New York City. She’s a writer by trade—magazines, blogs and a book called He Never Liked Cake. And she’s also a yoga teacher. Her classes can be found pretty much all around this city. In Pittsburgh, yoga comes with more than a mat. Think organic tea, a rooftop view and a summery whiskey cocktail. Pittsburgh is a pooch-friendly place. 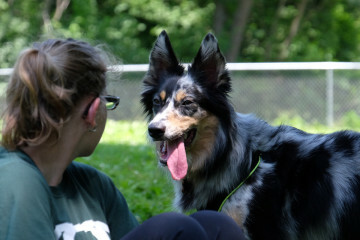 From green spaces to PNC Park, there are lots of things for dogs to do on or off leash. 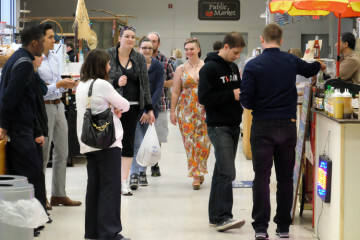 From cold craft beer to cold-pressed juice, there are lots of reasons to shop Pittsburgh Public Market. Try the whiskey-laced cupcakes or Nancy's Soups, some of the best in town! 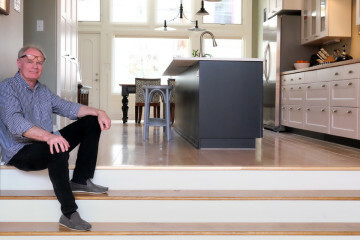 Dan Wintermantel and Leslie Vincen have transformed a former candy factory located on Monterey Street in the historic Mexican War Streets into a dream home. 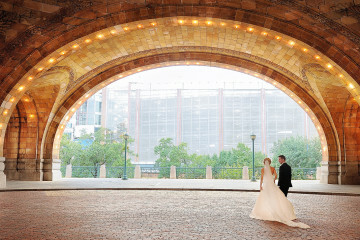 From the eco-friendly to the artsy and creative, here's a big guide to the best wedding venues in Pittsburgh. 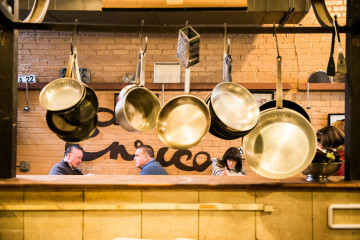 In a neighborhood famous for its food, where can you sit down for a leisurely meal? There are plenty of places--from casual to formal--in the lively Strip for a great meal any time of day. "Somehow this has become a noir funhouse where the walls are closing in. 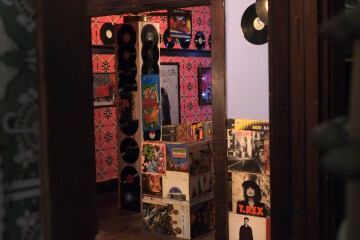 Rooms get smaller and objects get bigger. It’s an adventure in proprioception." 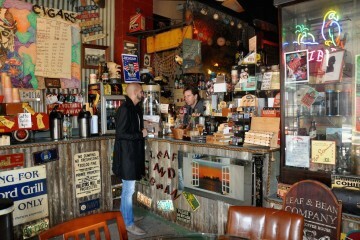 A non-smoker falls for Leaf & Bean, a cigar bar and coffee shop in the Strip with a colorful proprietor and a Key West state of mind. 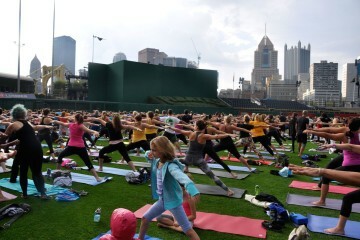 For the first time ever, people gathered in PNC Park to practice yoga together through Oms in the Outfield. Our writer and yoga instructor was there, along with 1400 others.